Insulation properties vary depending on climate conditions and how long the insulation has been in the building – resulting in circumstances where stated R values don’t accurately represent its effectiveness, Iain Stuart, Roxul’s central Canada specifications manager, told a lunch and learn event co-ordinated by the Ottawa chapter of Construction Specifications Canada (CSC). 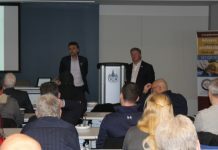 “R values aren’t static,” Stuart said at the June 18 meeting in the Ottawa Construction Association (OCA) board room. 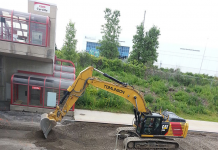 “Insulation performs differently with changes in temperature, and therefore thermal resistance will vary between climate zones – taking into account both the temperature and moisture of that location,” he said. These variations have been tested by different groups and agencies, and result in complexities because different insulation types behave differently under the varying climate and moisture conditions. He said these challenges are compounded by the fact that certain types of insulation often lose effectiveness over time – meaning that the R Value at construction may not be the same as several years later, resulting in higher ongoing energy operating costs and other stresses on building systems. 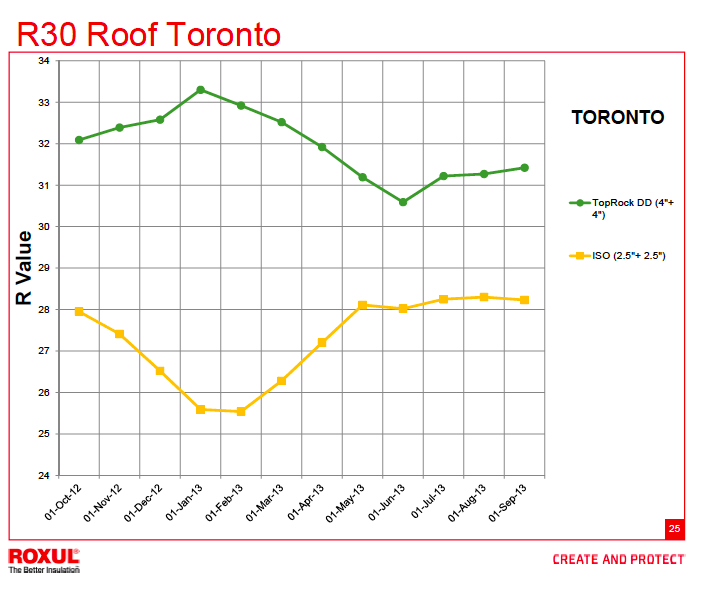 As an example of these effects, he cited an evaluation of insulation stated as R30 on a Toronto roof, comparing polyiso to rock wool. He said the rock wool insulation (of the type that Roxul manufacturers), had an effective R value of just above 30 in July, but actually was even more effective in the coldest month of the year, when the R value increased to more than 33. Conversely, he said, the polyiso counterpart achieved R values just above 28 in the spring and summer months, but R values declined to less than 26 in January and February.